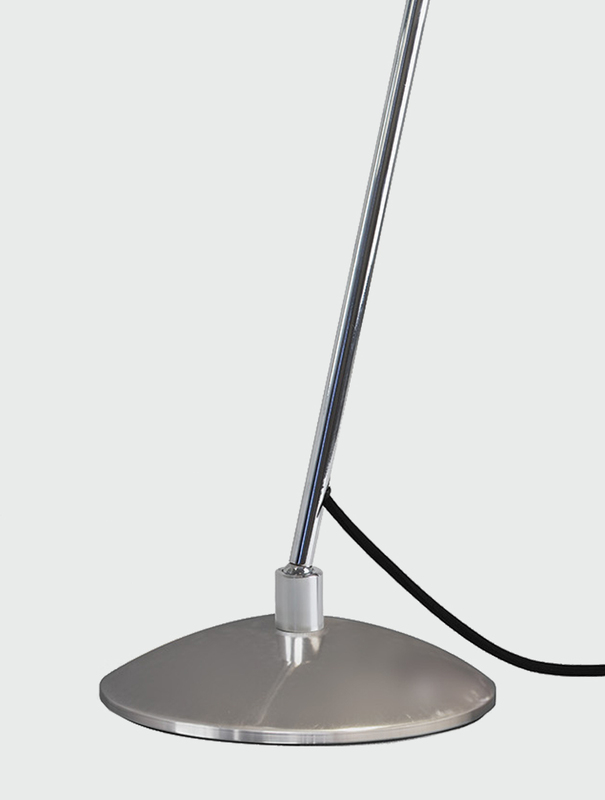 The Joel table lamp is the ultimate in design and simplicity with its elegant form allowing it to move seamlessly to your desired location. The Joel has a knuckle joint at the bottom of the stem allowing it to rotate and manoeuvre. A simplistic matt black domed metal shade is fixed to the top of the curved stem and polished chrome detailing adds to its stylish design. 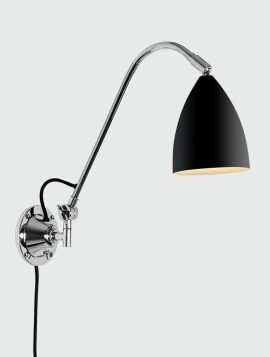 This table lamp has a black cable with an in-line rocker switch. Also available in: Gold and Cream. Complete the look with the Joel Wall Light and Floor Lamp. The Joel table lamp is the ultimate in design and simplicity with its elegant form allowing it to move seamlessly to your desired location. The Joel has a knuckle joint at the bottom of the stem allowing it to rotate and manoeuvre. A simplistic matt gold domed metal shade is fixed to the top of the curved stem and matt black detailing adds to its stylish design. 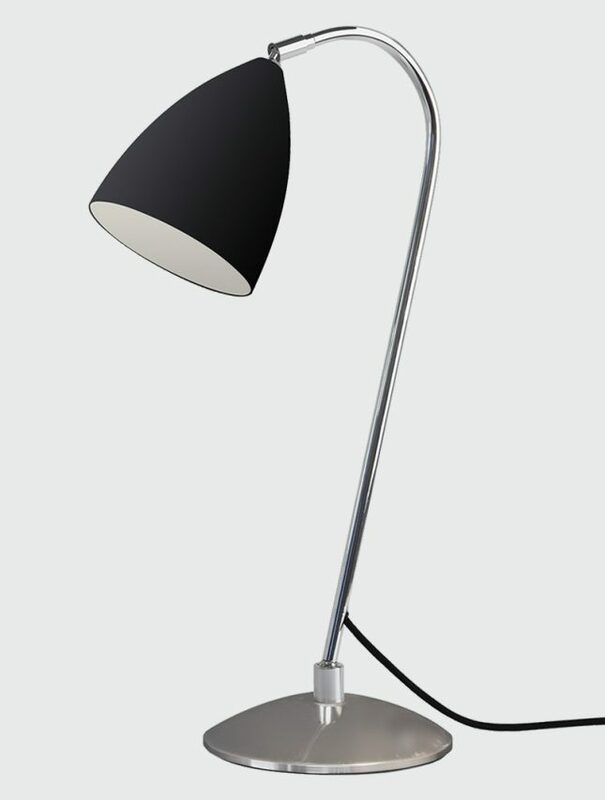 This table lamp has a black cable with an in-line rocker switch. Also available in: Matt Black and Cream. 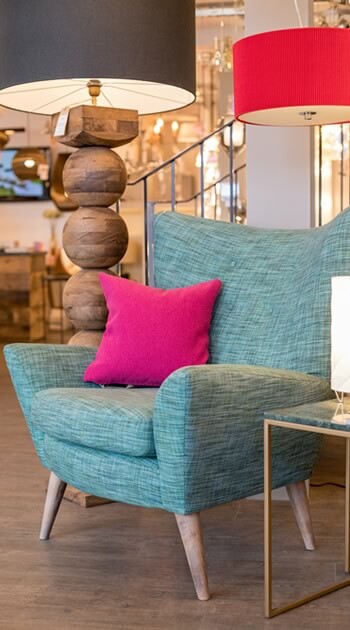 The Joel floor lamp is the ultimate in design and simplicity, with its elegant form allowing it to move seamlessly to your desired location. The Joel has a joint in the middle of the stem, giving it the ability to rotate and manoeuvre into different positions. A simplistic cream domed metal shade is fixed to the top of the curved stem and its polished chrome detailing adds a touch of style and class to the overall design. This floor lamp has a black cable with a push foot switch. 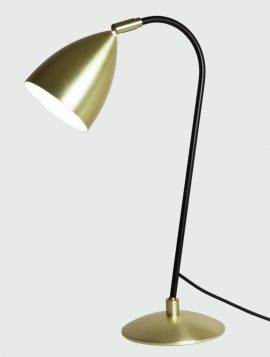 Finish off the look with a Joel desk lamp or wall lights. Also available in: Matt Black. Complete the look with the Joel Wall Light and Table Lamp. The Joel Grande matt black wall light is the ultimate in design and simplicity, its elegant form allows it to move seamlessly with a joint at the bottom of the stem allowing it to rotate and manoeuvre. 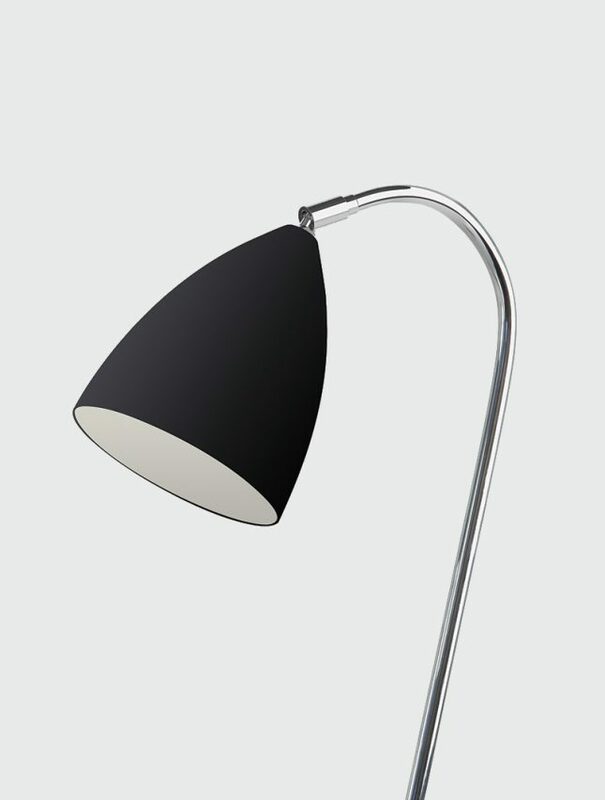 A simplistic matt black domed shade is fixed to the top of the curved stem with polished chrome detailing. We recommend a dimmable light bulb to control the level of lighting. Also available in: Cream and Gold. 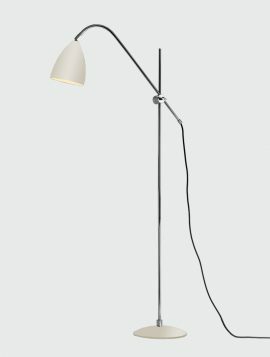 Complete the look with the Joel Wall Light, Table Light and Floor Lamp. The Joel Grande cream wall light is the ultimate in design and simplicity, its elegant form allows it to move seamlessly with a joint at the bottom of the stem allowing it to rotate and manoeuvre. 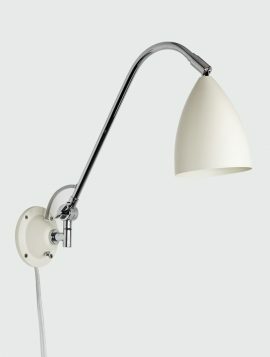 A simplistic cream domed shade is fixed to the top of the curved stem with polished chrome detailing. We recommend a dimmable light bulb to control the level of lighting. Also available in: Matt Black and Gold.